Over the last 15 years, we’ve forged a lot of relationships, partnerships and affiliations. By partnering with the following associations and organizations, we’ve been able to provide the very best in home remodeling services across Connecticut. The National Roofing Contractor Association is the voice of roofing professionals and a leading authority in the roofing industry for information, education, technology and advocacy. The NERCA is the regional roofing contractors association covering the northeast part of the country. The Building Construction industry is a multi-facetted one and the needs of the people who work in building construction are just as diverse. From the large construction companies dealing with engineering, architecture and design to the general contractor who oversees a home renovation project that involves multiple trades, to the journeymen electricians, roofers, carpenters, plumbers, etc., everyone involved has different needs to help them effectively and successfully run their business. 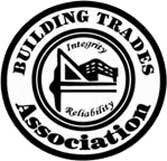 A professional building construction association is composed of home builders, contractors and professionals of all types, in related fields. It includes general contractors who are the professionals who coordinate large construction projects. CertainTeed is a leading and innovative North American manufacturer of building materials including roofing, trim, vinyl siding, railing, decking, insulation, and many others. The Master Shingle Applicator program provides education in all aspects of shingle installation techniques, and the approved procedures for installing all CertainTeed shingles. SELECT ShingleMaster™ (SSM) – This is the top level CertainTeed roofing credential, and represents the highest standards of excellence, quality and knowledge in the shingle roofing industry. An SSM has shown extensive knowledge of shingle installation and quality through rigorous testing, and has provided CertainTeed with proof of workers’ compensation and liability insurance. Only an SSM can offer you the highest level of SureStart PLUS™ extended warranty coverage when an Integrity Roof System is installed on your home. ShingleMaster™ (SM) – Contractors who are focused on superior workmanship and customer satisfaction earn the SM credential by employing a Master Shingle Applicator qualified workforce or participating in an SM Credential Course. An SM can offer you SureStart PLUS extended warranty coverage when an Integrity Roof System is installed on your home. The Master Craftsman program offers advanced education and training for building professionals. Commitment to our profession and industry. GAF® Sustainability Mission Statement As the roofing industry leader, GAF is proud to promote sustainability in all areas of our business. We practice and support new technologies in energy efficiency, material optimization, and recycling that help conserve natural resources, and we share our knowledge to help our contractors, colleagues, and customers do the same. GAF has become North America’s biggest manufacturer of residential and commercial roofing and are committed to supporting distributors and roofing contractors, as well as helping property owners make their best roofing choices. Because of GAF’s stringent standards, only 3% of all roofing contractors have qualified as Master Elite contractors! Requirements for all Mastic Preferred Contractors and Mastic Elite Contractors: Better Business Bureau (BBB) score of 75% + One important question to ask your contractor is how they handle customer disputes. Disputes will arise even with the best contractors but it’s how a contractor handles these disputes that make the difference. We check the BBB score of all its Preferred and Elite Contractors and requires a score of 75% or higher to retain their Preferred Contractor status. A Mastic Elite Contractor has an even higher requirement and must maintain a score of 90% or higher. Experience installing vinyl siding You should always be cautious of contractors who specialize in projects different from yours. If your project includes vinyl siding, it’s crucial the contractor is an experienced installer. Mastic Preferred Contractors must have been in business at least three years installing vinyl siding. Standards are even higher for Mastic Elite Contractors who must have at least five years of experience installing vinyl siding and be certified by the Vinyl Siding Institute. Use top of the line products Your project is only as good as the products used to construct it, and the skill of the craftsman who do the work. Mastic Preferred and Elite Contractors choose to use a product that is durable, dependable, warranted and from an established well-known manufacturer. Mastic Preferred and Elite Contractors are licensed, insured and bonded You want your contractor to be licensed, insured and bonded to protect your property and family. We routinely check to make sure all Preferred and Elite Contractors still meet these qualifications. Mastic Elite Contractors are committed to staying current with the industry It’s important that a contractor is committed to staying current with technologies, products and methods in a rapidly-changing industry. Likewise, a desire to be active in industry associations and keep certifications current speaks volumes about their credibility. All Mastic Elite Contractors must pass two Mastic training classes every 24 months to keep their Elite Contractor status. The U.S. Green Building Council is a nonprofit organization that is dedicated to a prosperous and sustainable future for our nation through cost-efficient, energy-efficient green buildings. Looking for a Connecticut roofing contractor you can trust? Harmony Home Improvement’s affiliations and industry recognitions are proof of our unbeatable workmanship. Call us at (860) 645-8899 to talk about your project. You can also contact us online today to schedule your inspection and free estimate. We look forward to meeting you!